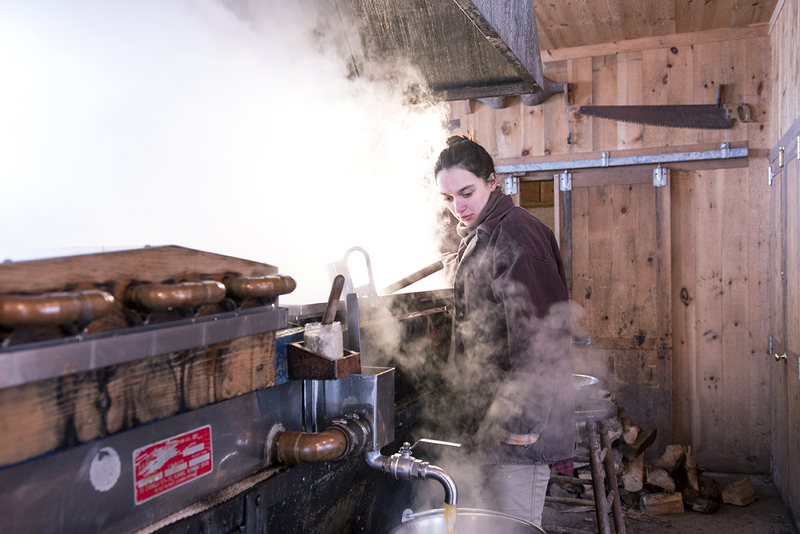 Ana Fernandez came to Vermont on a whim last year when a friend told her about a job opening at Nebraska Knoll Sugar Farm in Stowe. The Michigan native is now spending her second season sugaring at the farm, spending her days (and nights) boiling sap, changing the filter press, and checking the lines in the woods. Prior to coming to Vermont, Ana had some experience sugaring but nothing compared to her work at Nebraska Knoll Sugar Farm, which is owned by Lew and Audrey Coty. What Ana loves most about sugaring is being in tune with nature as the process depends entirely on the trees and the weather.